For floating production storage and offloading (FPSO) vessels, a dynamic positioning controller is necessary because using only a mooring system is not possible to keep the ship within a predefined region. Position control of the FPSO vessel is extremely challenging due to model uncertainties and unknown control coefficients. This paper develops a new robust adaptive positioning controller consisting of several components: adaptive law, dynamic surface control (DSC) technology, sigmoid tracking differentiator (STD), Nussbaum gain function, and structural reliability index. Model uncertainties can be estimated by the adaptive law derived from the Lyapunov theory. The DSC technology is used to eliminate repeated differentiation by introducing first-order filtering of the virtual control. The chattering-free STD with the characteristics of global fast convergence can estimate the derivatives of model uncertainties that are difficult to calculate directly. Therefore, the DSC and STD techniques make the proposed controller simpler to compute and easier to implement in engineering practice. Most of the traditional controllers require the information about the control coefficients to guarantee the stability of the closed-loop system while the Nussbaum gain function can remove the requirement for a priori knowledge of the sign of control coefficients. The capacity of the mooring system can be fully utilized to position the FPSO vessel by adjusting the structural reliability index on the premise of ensuring the safety of mooring lines, and hence less control effort is needed for the positioning controller. Simulations using two sets of system parameters demonstrate the proposed controller’s effectiveness. 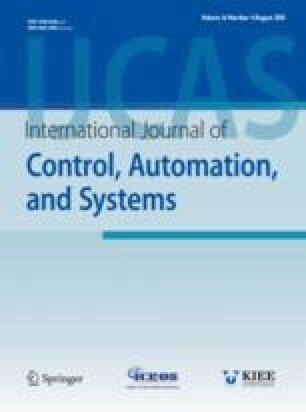 In addition, a qualitative comparison with the adaptive backstepping controller shows that our proposed controller is computationally more efficient and does not require a priori knowledge of the sign of control coefficients. A quantitative comparison with robust adaptive controller without the structural reliability shows that less control effort is needed using our proposed controller. Recommended by Associate Editor Hongyi Li under the direction of Editor Jessie (Ju H.) Park. This work was supported by the Project of Dynamic Positioning System Control Console and the China Scholarship Council. Yulong Tuo received his B.Sc. degree in the College of Automation from the Harbin Engineering University (HEU), Harbin, China, in 2013. He is currently working toward a Ph.D. degree in the College of Automation, HEU. His current research interests include advanced mathematical modeling for vessels, dynamic positioning control, and intelligent control. Yuanhui Wang received the B.S., M.S. and Ph.D. from Harbin Engineering University. She is currently an Associate Professor and Ph.D. supervisor with the College of Automation, Harbin Engineering University, Harbin 150001, China. Her research interests include guidance, navigation and control of marine crafts, ship dynamic positioning, ship dynamics and motion control, intelligent control, hybrid control, robotic path planning, swarm intelligence of marine robotics. Simon X. Yang received the B.Sc. degree in engineering physics from Beijing University, China in 1987, the first of two M.Sc. degrees in biophysics from Chinese Academy of Sciences, Beijing, China in 1990, the second M.Sc. degree in electrical engineering from the University of Houston, USA in 1996, and the Ph.D. degree in electrical and computer engineering from the University of Alberta, Edmonton, Canada in 1999. Prof. Yang joined the School of Engineering at the University of Guelph, Canada in 1999. Currently he is a Professor and the Head of the Advanced Robotics & Intelligent Systems (ARIS) Laboratory at the University of Guelph in Canada. Prof. Yang has diversified research expertise. His research interests include intelligent systems, robotics, sensors and multi-sensor fusion, wireless sensor networks, control systems, and computational neuroscience. His significant research contributions can be reflected by his original and innovative work in biologically inspired approaches and applications to real-time motion planning, tracking and control of robotic systems, and various engineering and biomedical systems. He has published about 450 referred papers, including over 200 journal papers (over 30 in IEEE Transactions). Prof. Yang he has been very active in professional activities. Prof. Yang serves as the Editor-in-Chief of International Journal of Robotics and Automation, Journal of Robotics and Artificial Intelligence, and International Journal of Complex Systems - Computing, Sensing and Control; Advisory Editorial Board member of Intelligent Automation and Soft Computing, and Journal of Intelligent Learning Systems and Applications; and an Associate Editor or Editorial Board member of IEEE Transactions on Cybernetics, and several other journals. Currently he is a panel member of the NSERC Discovery Grants Selection Committee on Electrical and Computer Engineering, a panel member of the NSERC-CIHR (Canadian Institutes of Health Research) Collaborative Health Research Projects (CHRP) Selection Committee, and a panel member of CIHR Grants Selection Committee. He was General Chair of the 2011 IEEE International Conference on Logistics and Automation. Among many of his awards, he was a recipient of the Distinguished Professor Award at the University of Guelph. Mohammad Biglarbegian received the B.Sc. degree (with honors) in mechanical engineering from the University of Tehran, Tehran, Iran, in 2002, the M.Sc. degree in mechanical engineering from the University of Toronto, Toronto, ON, and the Ph.D. degree in the Department of Mechanical and Mechatronics Engineering, University of Waterloo, Waterloo, ON. He is currently an Associate Professor with the School of Engineering, University of Guelph, Guelph, ON. He is the director of the Advanced Mechatronics and Robotics Control (AMRC). His research interests include Modeling, Control, and Optimization for Mechatronics, Robotics, and Vehicular Systems. He is a senior member of IEEE and also serves as the associate editor for the International Journal of Robotics and Automation. Mingyu Fu was born in 1964. She finished her B.Sc. and M.Sc. degrees in Harbin Marine Engineering College, and Ph.D. degree in Harbin Engineering University (HEU), respectively. She began to work in school of Control Science and Engineering of HEU after she got the M.Sc. degree. Now she is a professor of Control Science and Engineering at College of Automation, HEU. Her research interests include ship motion and control, multi-sensor fusion, intelligent system control, dynamic positioning system for ships, hovercraft safe navigation and coordinated formation control for multiple ships.